ENSCO-72 began its journey from northern Scotland on Wednesday last week and was due to arrive in the bay today, ready to drill an appraisal well to assess the amount of oil in the ‘Colter prospect’, several miles off the Bournemouth coast. Marine trackers showed it floating stationary off Whitby in Yorkshire. The delay may be connected with the gale force winds experienced in the area over the weekend. The jack-up platform is being towed to its destination. It is now not likely to reach the bay for several days. The main firm behind the drilling, Corallian Energy, is required to complete the operation by the end of February, according to conditions imposed by regulator OPRED. With the operation originally predicted to take some 40 days, local campaigners against the drilling are hoping the delay may render it unfeasible. 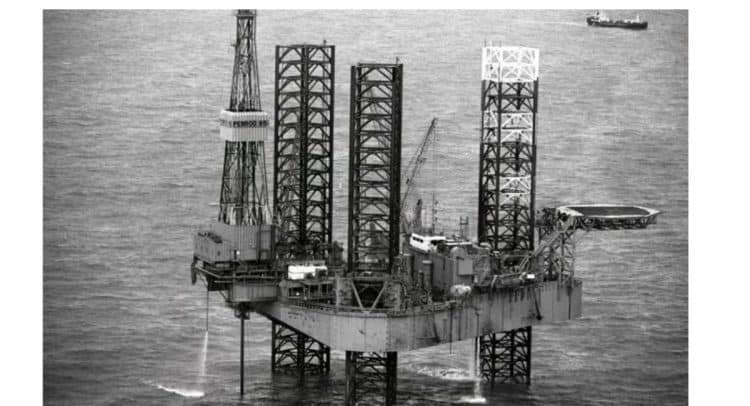 An email from Bournemouth council’s tourism department to councillors over the weekend warned them to expect “comments from concerned residents” over the rig. In the email, head of operations Chris Saunders said the council would “maintain a watching brief” to ensure the drilling met with the requirements of its environmental impact assessment conditions. He said the drilling had been approved by OPRED despite the council’s “very robust response which highlighted the potential damage to the natural environment and the visitor economy from the drilling operation and the impact on the view”. If anyone reads this article found it useful, helpful? Then please subscribe www.share-talk.com or follow SHARE TALK on our Twitter page for future updates.